Paris Luxury Rentals is boutique apartment rental company based in San Francisco connecting travelers with a collection of 14 ultra luxury apartments across Paris, selected as the city's crown jewel rentals. USA & FRANCE, February 5, 2016 - Imagine if you could find the 14 most exquisite short-term apartments for rent in Paris. None are alike; each is spectacular in its own way. Talk to Paris Luxury Rentals. This boutique apartment rental company connects travelers with a collection of 14 private, luxury apartments across Paris, selected as the city's crown jewel rentals. The Financial Times calls Paris Luxury Rentals "One of the city's most upmarket agencies," and their portfolio includes historic residences with 16th century antiques and architecture, as well as distinctive art collectors' apartments full of original paintings and larger-than-life sculpture. 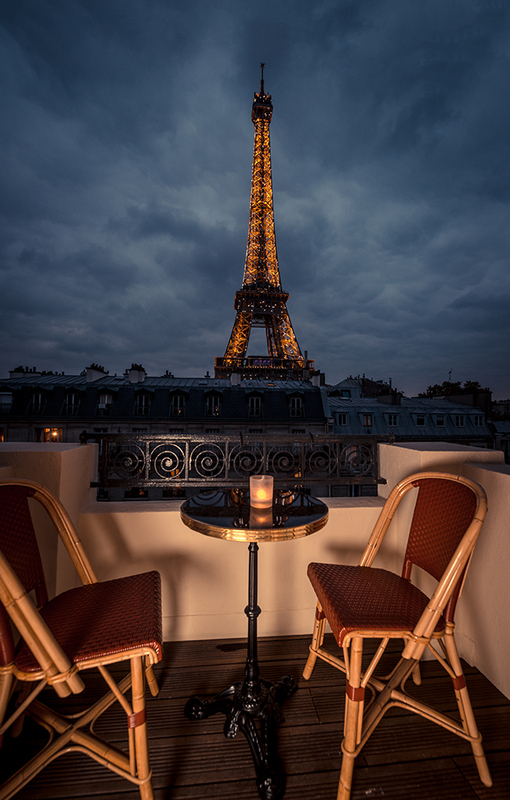 Balconies, rooftop decks, and soaring windows overlook essential Paris panoramas like the Eiffel Tower, the Place des Vosges , or the Seine, and guests can easily explore Paris's grand landmarks and cobblestone alleyways from uncommonly central locations. These are the kind of apartments people wait a lifetime to discover, and Paris Luxury Rentals nearly has searched a lifetime for them: For 18 years, they have been curating the best of Paris. They know all 14 of their apartment offerings inside and out, and their love for each is clear. They will gladly tell you about the play of light on the balcony at sundown, direct you to nearby markets to gather dinner ingredients, or explain the way a piece of art presides over a room. In the midst of sweeping changes in the hospitality industry-particularly in the short-term apartment rental market-Paris Luxury Rentals innovates and evolves, while staying focused on timeless ideas: honesty, authenticity, knowledge...and, of course, Paris itself. Though they are a global company with offices in the US and abroad, their true north is always Paris. Some live in Paris themselves currently, including an on-the-ground team of guest relation specialists and concierges to help create a truly boutique travel experience for guests. Of course, they also know when to step away, so guests can discover the city for themselves. Their goal is to take the guesswork out of Paris travel-so you can expect a flawless trip, right down to the details you never imagined.